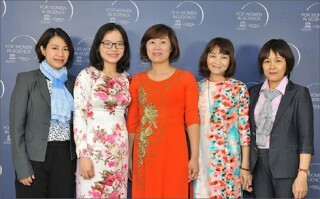 The award ceremony was held at Vietnam Academy of Science and Technology with the list of five female scientists voted by L’Oreal Group – UNESCO For Women in Science in Vietnam. 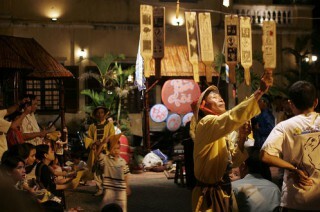 At 15:10 on December 7, 2017 (Vietnam time), at the twelfth session of the Intergovernmental Committee for the Safeguarding of the Intangible Cultural Heritage taking place in Jeju Island, Republic of Korea, the art of Bai Choi in Central Vietnam was officially added to the Representative List of Intangible Cultural Heritage of Humanity. 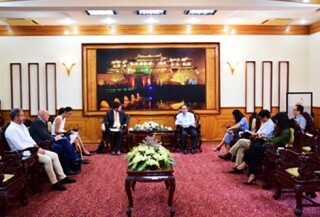 On the afternoon of September 21, Chairman of the Provincial People's Committee Nguyen Van Cao met with Mr. Michael Croft, Chief Representative of the UNESCO Office in Vietnam.